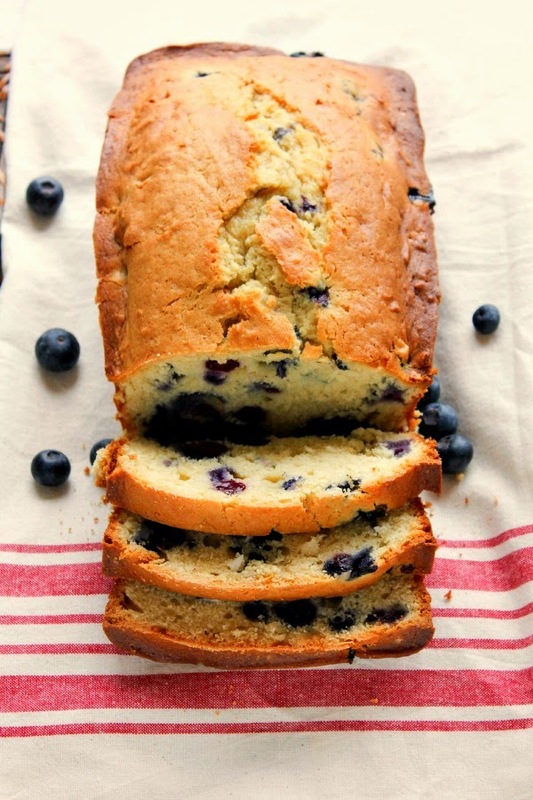 Gorgeous, fresh blueberries and sweet coconut are the perfect combination for this delicious pound cake! 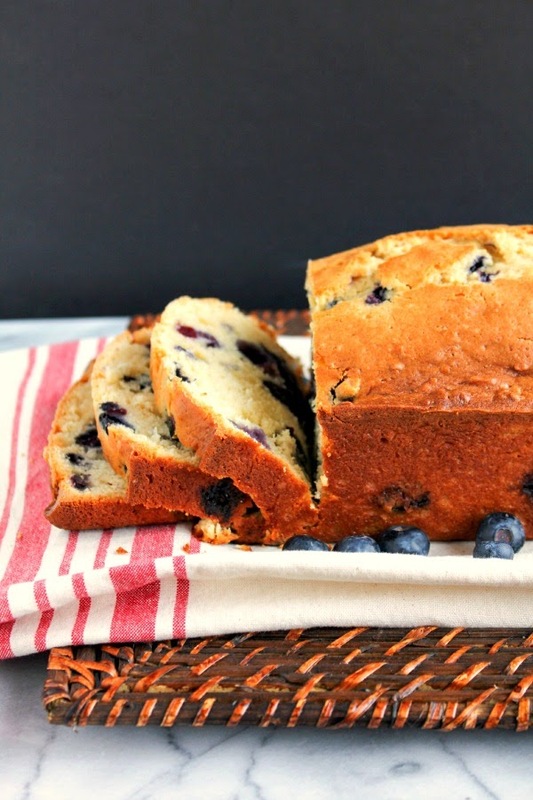 Are you a fan of blueberries? Do you go gaga over coconut? I do. Oh yes, I really do. I recently picked up some beautiful, fresh blueberries and instantly knew I wanted to use them for a fabulous Spring dessert. 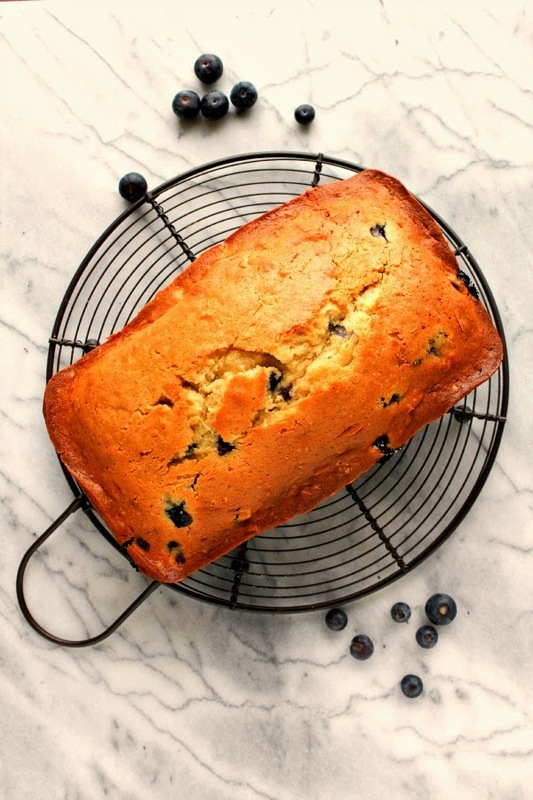 It's funny, because I've not only been eating this blueberry coconut pound cake for dessert, but for breakfast and as a snack, too. It's good anytime of the day. The cake is light and tender and not too sweet. To me it's the perfect combination. It didn't last too long in our house. Me, my kids, my parents...we all gobbled it right up. And since today is Sunday, which is one of my favorite baking days, I highly recommend you make this loaf today. I'm headed to the kitchen right now to make another! Preheat the oven to 325 degrees. Spray a loaf pan with non-stick baking spray and set aside. In a medium bowl, whisk together the flour, baking powder, and salt. In the bowl of a stand mixer, beat the butter and sugars until light and fluffy. Add in the eggs one at a time, beating well after each addition, then the vanilla. Alternately add the dry ingredients and the milk, a little at a time. Gently fold in the coconut and blueberries until well combined. Spread the batter into the prepared pan. Bake the cake for 65-75 minutes, or until a cake tester inserted near the center of the cake comes out clean. Cool on a wire rack for 15 minutes, then remove the cake from the pan and cool completely on wire rack. Slice and serve.